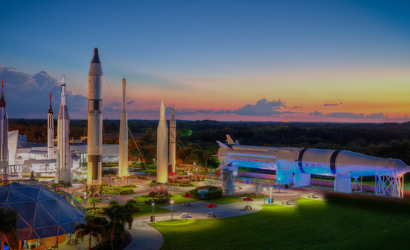 Space center located in Cape Canaveral, Florida, U.S.A. 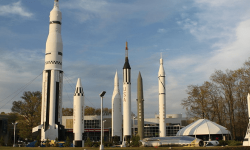 The various rockets of NASA are exposed in the rocket garden and at the end of the visit you can admire a Saturn 5 rocket lying in a huge shed. 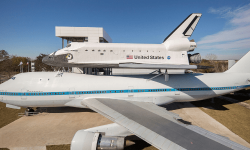 You can go in a Space Shuttle replica, in a replica of the Apollo Lunar Mission Control Center and even in a replica of the International Space Station (ISS). You can also see replicas of Apollo, Mercury and Gemini space capsules. The bus route passes near the vehicle assembly building and then near the path that the rockets take to their launch pad. Finally, the bus goes on a platform that allows you to see the launch pads, including the legendary 39A and 39B launch pads. 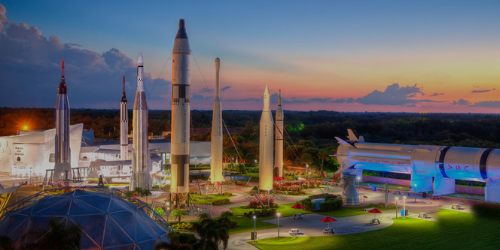 How to go to the Kennedy Space Center ?